Gail Leftwich Kitch is chief operating officer of The Voter Participation Center, a research-driven, results-oriented nonprofit, nonpartisan organization dedicated to increasing the participation of unmarried women, young people and minorities, historically underrepresented groups in our democracy. Most recently, she served as Executive Director of By the People, a MacNeil/Lehrer Productions project which uses public television to encourage and support informed non-contentious citizen dialogue around policy issues. Mrs. Kitch was President of the Federation of State Humanities Councils, the national membership organization of the state affiliates of the National Endowment for the Humanities, following service as Director of Cambridge Forum, in Cambridge, Massachusetts. 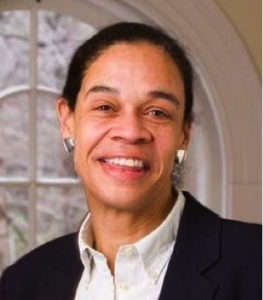 She is a former chair of the Massachusetts Foundation for the Humanities, and was a Radcliffe College Public Policy Fellow in the late 90s. Among other activities, Mrs. Kitch currently serves on the Executive Committee of the Boards of the Women’s Foreign Policy Group and National History Day. She has a B.A. from Bryn Mawr College and a J.D. from the University of Chicago Law School.